I have a small obsession with the What I Wore Wednesday posts over at the Pleated Poppy. I LOVE to see what outfits everyone puts together and get ideas on how to refashion what I have in my closet to make new outfits. Love, love, love these posts. I decided to join in today. OK...so it goes something like this. I love the whole colored tights trend that has been going on for awhile now. I've not ever been brave enough to try it myself. 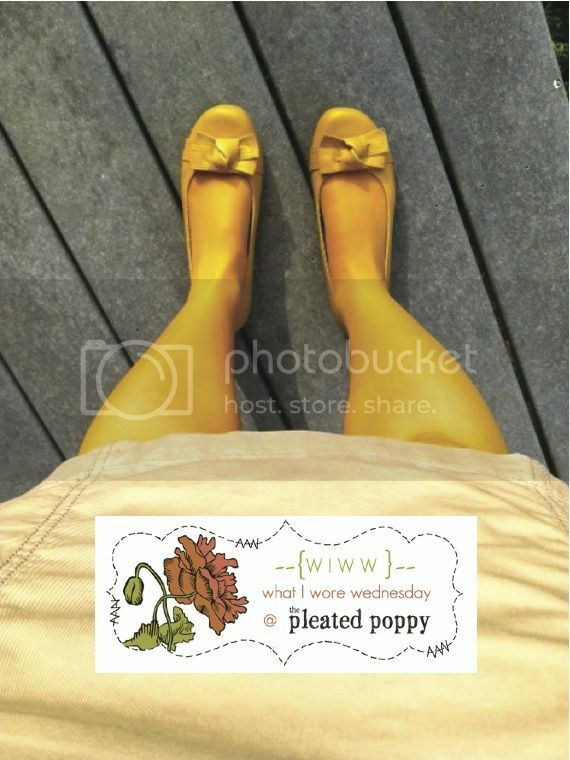 But, while shopping recently, I found these mustard colored tights on the super duper clearance rack. $1.99? Yes, please. I can be adventurous for $1.99. So I googled "how to wear colored tights" - and I found what I thought, was something suitable in my closet to put together with the tights. Hence, this. The color is off a bit in the picture because the sweater and the tights are actually very similar in color than they appear in the photo. 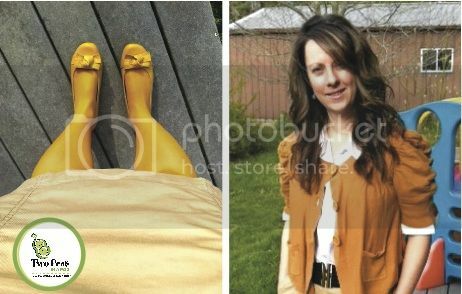 The Gardener,(aka my hubby) said, "You look like an Ompa-Loompa from Charlie and the Chocolate Factory". Thanks honey. 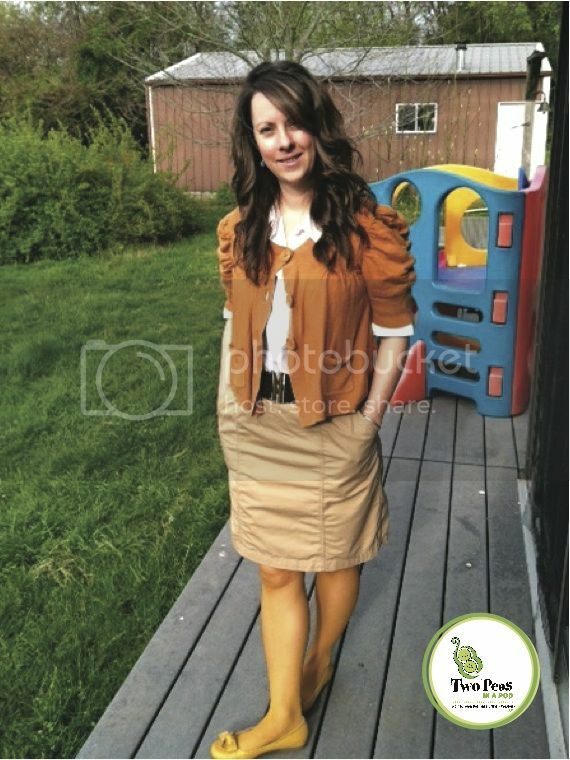 The "internet" said that when you wear colored tights - to match your shoes. I had some cute metallic gray heels but I went with the matchy-matchy thing. I went on to work. I told the girls I work with what my husband said. They bust out laughing. And then said, he was right and don't ever wear that again. Bahaaha! Oh my. My only saving grace, the Gardener said my hair looked fabulous. I think he wants something. But, I was kinda having a good hair day. You know how that is. Doesn't happen very often.